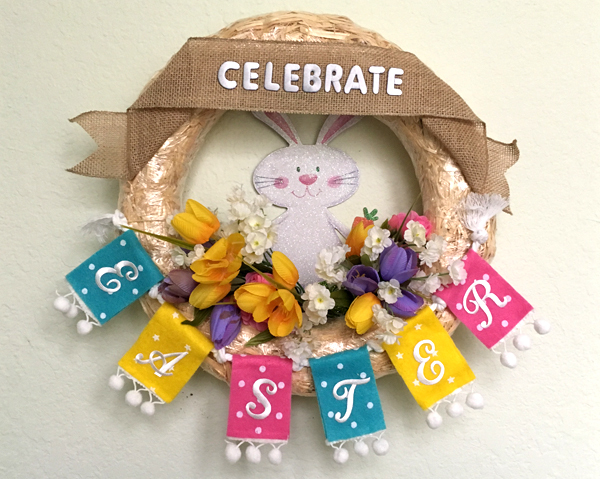 Spring into Easter with this double duty wreath! 1. 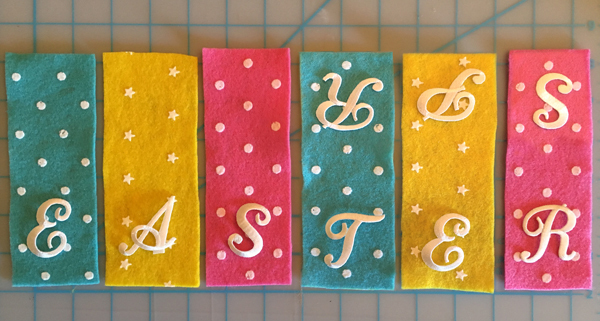 Cut 6 (2 of each color), 2 1/2" x 6" pieces of felt. 2. Arrange the cut pieces of felt as shown. 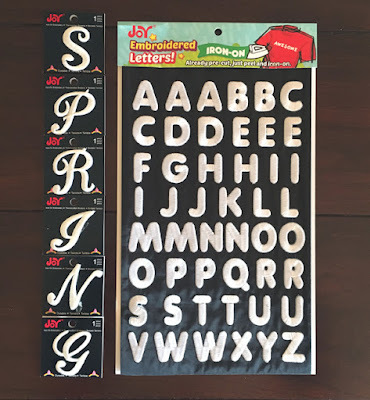 Following manufacturer's directions, iron the monogram letters to spell EASTER onto one end of each piece of felt then iron the letters to spell SPRING onto the opposite ends. 3. 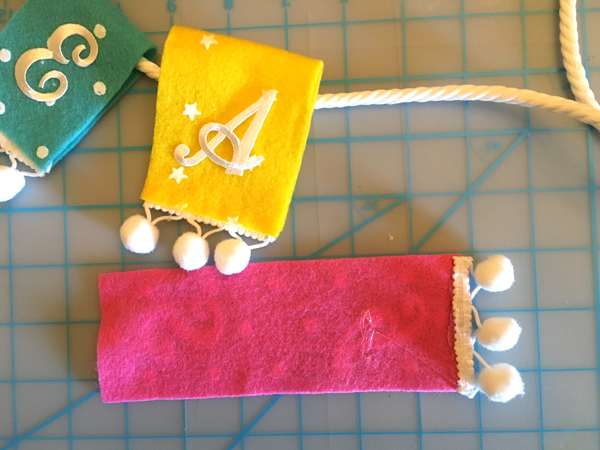 Cut then glue a piece of pom pom trim along the bottom edge at the back of each piece of felt. 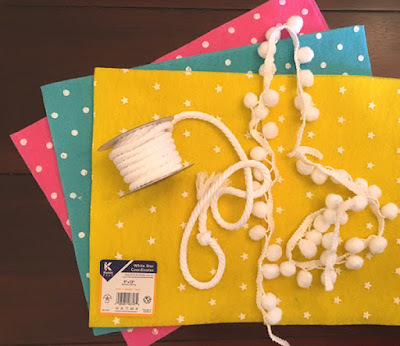 Fold the felt piece in half and glue the opposite end on top of the pom pom trim. 4. 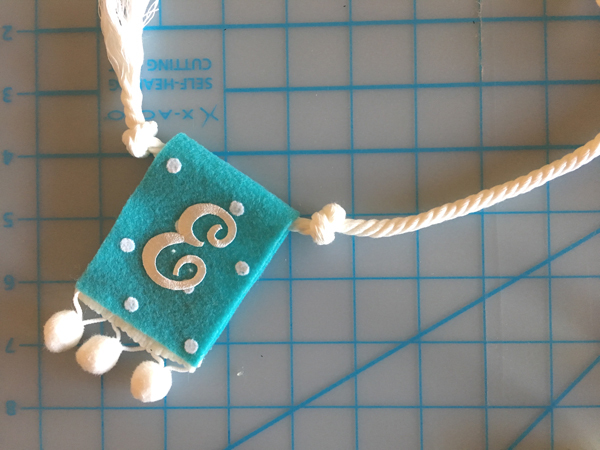 Tie a knot at the end of the cord then thread through each folded piece of felt to create a mini garland. Knot the cord between each piece to separate. 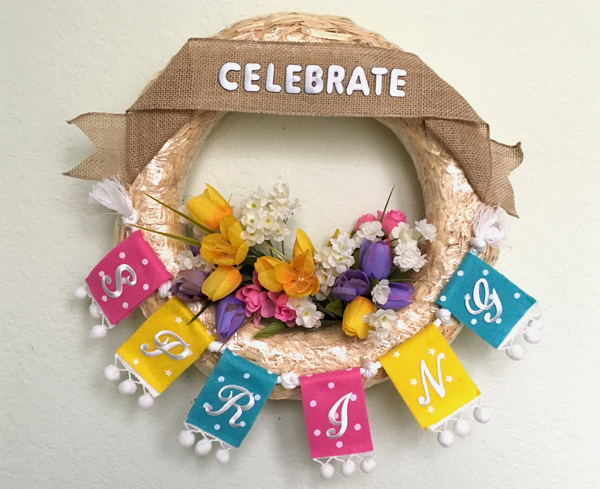 Your garland will read SPRING on one side and EASTER on the other. 5. 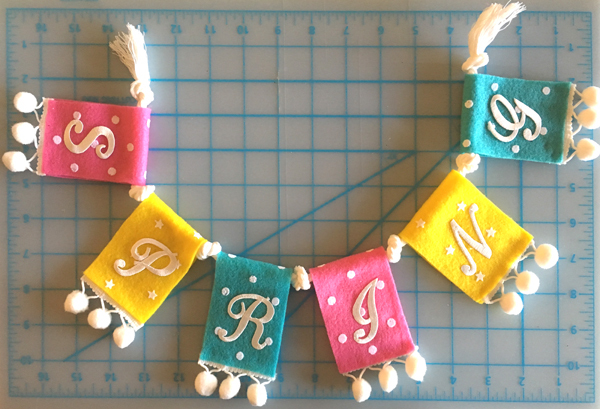 Peel the letters to spell CELEBRATE from the letter sheet then iron onto the center of the burlap ribbon. 6. With the ends folded under, use quilt pins to secure the burlap ribbon across the top of the wreath as shown. Note: If the wreath has a plastic wrap, leave in place. 7. Pin the ends of the mini garland across the bottom of the wreath, then pin small silk flower piks at the back. 8. As Easter draws near, unpin the garland, flip it around then re-pin. Pin a rabbit decoration amongst the flowers at the back if desired. 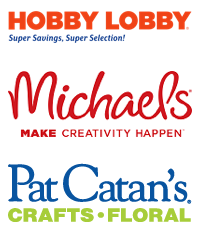 Look for Joy® Iron-on embroidered letters and letter sheets at your local craft stores.